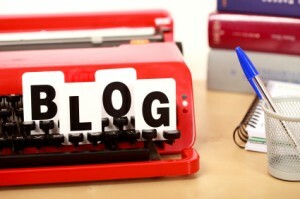 Yesterday I told you that as a small business owner you need a blog. Today I’ll tell you how to write it. Writing a blog is about delivering engaging and gripping content day after day after day. Writing content can seem a daunting task at first, but if you follow these six rules, you’ll find that what you churn out will better than you expected. Rule 1: Make sure every post you write has a purpose. You just need to ask yourself, why would someone want to read this post? What message am I trying to get across? What will my reader take away from this post? When you ask yourself this question, have an ideal customer in mind. Think of the person you most want to buy from you. Hold that person in your head as you write the post. Write it directly to them, and in this way, you are already hitting your ideal customer. This may seem more daunting than just making sure your post has a purpose, but it’s really not. Just write what about what you offer, what you sell, and that will make it unique right off the bat. Don’t forget, just by writing a post you’re putting a personal spin on it: your voice and your product. And that automatically makes it unique. Rule 3: Brevity. It’s not just the soul of wit, it’s the soul of a good blog post. Don’t write more than you need to in order to get your point across. Some say to shoot for 250 words, some for 500. I say shoot for how ever many words you think you need in order to make an impression. Rule 4: Work hard on your headlines. As they say, you gotta get ‘em early. Headlines will help do that. In fact, assume that the headline is the only thing people will read. Make sure your headlines are 3 things: concise, interesting, and clearly state what your post is about. Don’t put Justin Beiber in your headline if you’re going to be talking about coffee beans. You see? Need more help? Read this. Rule 5: Use language that is Easy to Read. Make sure your posts are easily scannable. Remember: big words don’t impress, they scare. If your ten year old can’t read it, don’t write it. Rule 6: Use Searchable Words. You want to use the phrase that savvy Internet uses will type into Google as much as possible. For example, if your business is monogrammed underpants, use that phrase often. Don’t use it once and retire it. (Social media blog, social media blog, social media blog.) (See what I did there?) This is the extreme basics of SEO (Search Engine Optimization), which will get it’s own post later. But it’s something to keep in mind, even if you don’t quite understand it. Do you think you are capable of writing content for your blog? What would help you get started? Sound off below. How do you feel about Blog Rings – links to other blogs that are either like-styled businesses or complementary ones? I’m glad you approve. And I’m also glad we can all agree rules are meant to be broken. Even if it does sound like a cheesy 80s movie title 🙂 I’m pretty sure I even broke some of the rules while writing the rules. Perhaps I should keep that to myself though. I understand the gist of what your saying but if you have a technical topic that rule goes out the window. If it’s post-graduate “bigger” words would not be quite as scary, in fact they’d be expected. The key is to know your audience and the level at which they’ll understand. Again, good points for those writing to a wide range of readers.